The last time I had Burleigh Brewing’s FIGJAM? I really, truly couldn’t tell you. I know I’ve had it before – and it made enough of an impression that it was my memory and not Untappd that told me that – but I simply don’t know when. I know those plastic collars on the FIGJAM four-packs were very different when they first came out. And I know I hate those damn collars – nothing works better for ensuring all four bottles bang into each other and risk breakage. But I don’t know when I last drank one. Which obviously makes it a perfect candidate for overlooked beers week. Rather than buy a whole four-pack and get stuck with that dumb plastic collars, I just picked up a single. Which of course I had to wrench out of a four-pack on the shelves at Dan Murphy’s; I can tell you there is no way known of doing that without drawing attention to yourself. When I got it home I was surprised to see the alcohol count – 7 per cent. I reckon that’s big for a relatively widely available Australian craft beer. 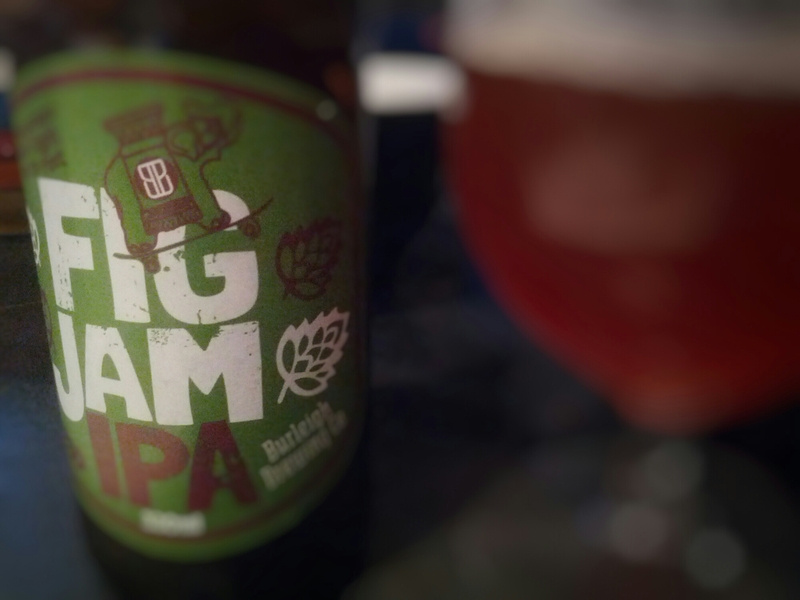 The beer throws some good pine aromas and, to my palate it’s a bit of a mix between US and English IPAs. There’s the definite hop character there that typifies a US IPA but we also get a pretty decent malt backbone, which is more likely to pop up in the UK versions. For a 7 percenter it’s really nicely balanced and worth drinking again – even with that plastic collar.